Tauhu telur is a signature dish in any Indonesian restaurant around the world. Here’s the recipe of this popular dish, which can easily be made at home. This egg and beancurd mixture would require a mould which can easily be fashioned out of a tin so that the towering shape can be achieved. This tauhu telor is best eaten when hot and serves just well as an afternoon snack with tea. For those who love the tingle on the tongue, the sauce made of bird's eye chillies will satisfy just that. While it may seem cumbersome to make the tauhu telor because of its shape, the mould can be made out of any empty tin, be it the margarine tin, mushroom can and the likes. Should there not be a mould of any kind, go ahead and make it in the shape that is most convenient. A wide round pan can be used for the batter so that a pancake like shape is achieved. Tauhu telor is typically served with sweet soy sauce or peanut sauce, but go ahead and try it out with any sauce of your choice. 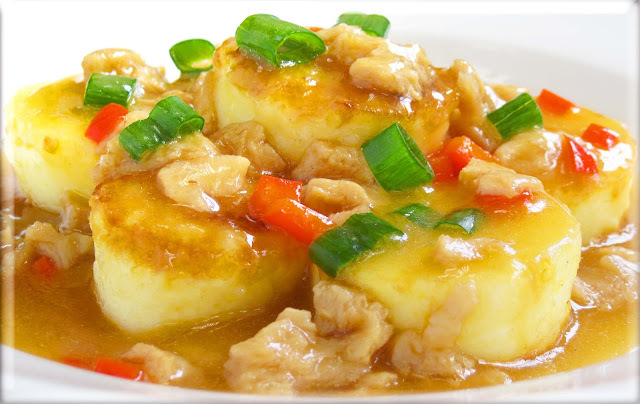 This dish is rich in proteins because of the combination of eggs and beancurd. First, combine the eggs and corn flour in a bowl. Whisk it well and then add the tauhu. Heat a wok and then place a 10cm diameter ring mould in the centre. Fill the mould with oil. Once the oil becomes hot pour the whisked mixture into the mould. Reduce the heat. If the mixture overflows as it cooks, push the liquid back into the mould using a ladle. Once the liquid is set, slowly remove the mould and cook the tauhu telor over medium heat. Once brown and crispy, remove and drain excess oil. To prepare the sauce, blend the sauce ingredients together and boil over low heat. Let it cook thereafter. Now that the tauhu telor is ready to be served, place it on a plate, then garnish with the shredded cucumber, carrot, ground peanuts and sauce. Now, enjoy Indonesia's very own Tauhu Telor either on its own or with your main course. 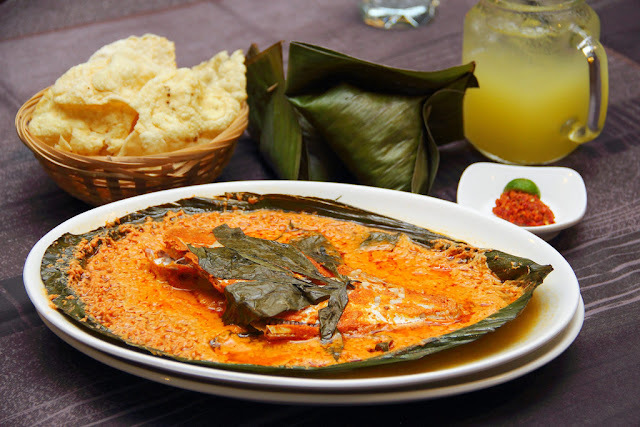 Complementing this dish with an Indonesian menu be icing on the cake.